Running shoes might get the most attention, but they’re not the only important piece of running gear you’ll need. 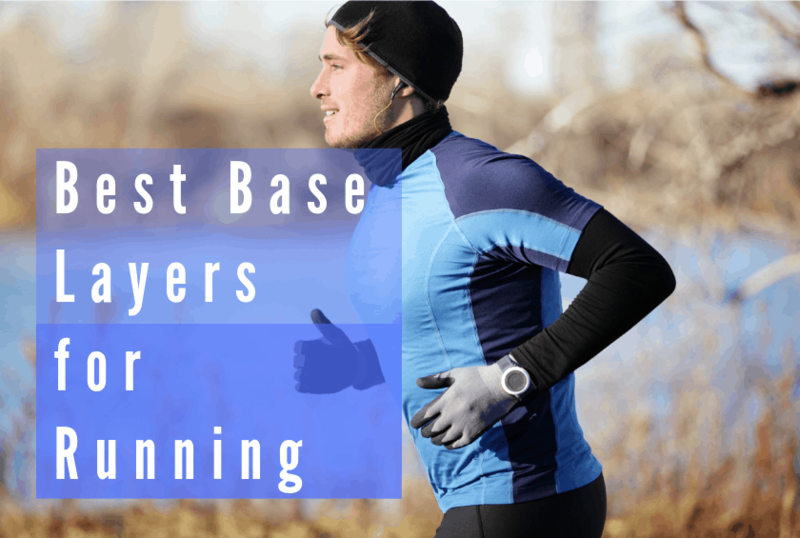 A base layer is a long or short-sleeved shirt you’ll wear to help keep you comfy and warm when running in cold weather. Perhaps most importantly, base layers should wick sweat away from your skin, keeping you dry. You can wear a base layer on its own, or add a warm jacket over it. The best base layers keep you warm and dry, but not hot or uncomfortable. They’ll draw body heat away from your torso while also protecting you from cold and wet weather. Sorting through the various features of base layers can seem confusing, but we’re here to help. 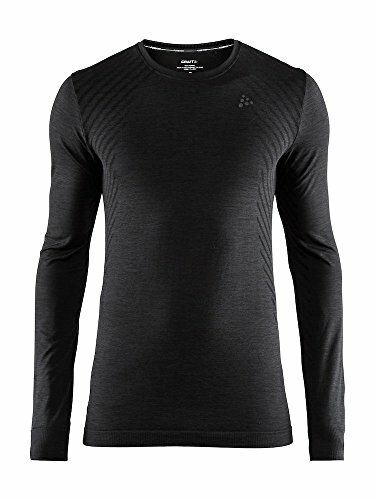 This base layer will keep you comfortably toasty when running in cold weather. It’s made from 100% Merino wool with flatlock seam construction to prevent chafing. Interlock knitting allows for a form fit. You can wear the Merino 250 Crew as a single layer when running in mild temps, or use it as an underlayer when you need to beat winter’s harshest chills. Instead of shoulder seams, the shirt uses shoulder panels. When you wear a backpack, there are no seams to press into your shoulders. Keeping the garment clean is easy. Simply machine wash warm on the gentle cycle and then tumble dry on low. Thermal running gear needs to strike a fine balance: it needs to be warm enough to protect you from the elements, but it can’t be so warm you overheat and sweat excessively. 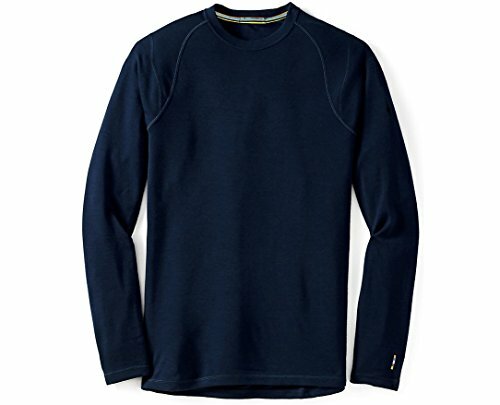 Fortunately, this long-sleeved thermal should keep you warm but not hot. The soft, notched interior doesn’t just insulate against the cold; it also pulls internally-generated heat away from your body. This long-sleeve shirt is made from 90% polyester and 10% spandex fleece, making it both lightweight and durable. It’s a semi-fitted shirt designed to hug your body. These shirts come in both hoodie and crew versions for men and women (women’s hoodie pictured above). Plus, the unique DriLayer construction is light and quick-drying. Sweat is wicked away from the body, keeping you dry. At the same time, moisture from wet weather is prevented from soaking through the garment to make contact with your skin. It also includes zippered pockets in the front sleeves. While not particularly large, they’re secure and unobtrusive. You can use the pockets to hold ID, a house key or other small items. You don’t have to choose between substance and style with the Brooks Fly-By 1/2 Zip. 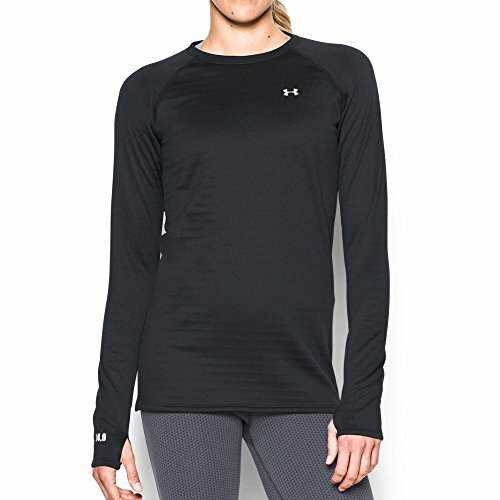 This long-sleeved women’s running shirt keeps you dry and warm – and looks good while doing so. Made from 100% polyester, the shirt is tough yet won’t weigh you down. The DriLayer Threshold thermal fabric is water-resistant and breathable. You’ll be insulated from rain and snow, but heat and sweat are still pulled away from your body. The shirt has a short zipper at the top which drops down to about mid-chest. Zip it up to protect your neck from the winter chill or leave it unzipped to reduce any build-up of body heat. The sleeves extend past the wrists and provide a separate section for your thumbs. While it’s just a small piece of extra material, it does make a big difference. When you make a fist, most of your exposed skin will be covered with material. The cuffs can act like built-in gloves. The shirt also has a Kangaroo hand pouch at stomach-level. You can use the pockets to keep your hands warm (when standing still) or as a storage space for ID, keys and other essentials. This lightweight, long-sleeved shirt is soft and stretchy. Body-mapped fabric structures allow for efficient thermal regulation. You’ll stay comfortably warm–not hot and sweaty. 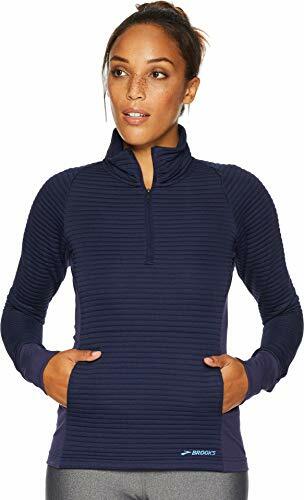 The unique Fuseknit technology uses seamless knit to prevent chafing and irritation, especially when wearing other clothing on top. It’s made from 67% polyester, 31% polyamide and 2% elastane. The semi-relaxed fit conforms to your body shape while remaining loose enough to allow productive airflow. The garment is also quick to dry. Moisture is wicked away, instead of allowed to saturate the material. You can run in pouring rain without the shirt becoming soaked and freezing. It’s suitable for mild, cool and cold temperatures. Looking for a base layer which fits as comfortably as your favorite T-shirt? Try the Pace long-sleeve from Sugoi. It’s a super-soft Fino Jersey consisting of 65% polyester and 35% rayon. The thermal top is lightweight and breathable. Sweat and moisture are pulled away from your skin. Additionally, a flat-seam design helps prevent abrasions and irritations against your skin. The semi-fit style is great if comfort is your main consideration. However, the shirt still fits snugly enough that you can easily layer other garments on top. It’s like wearing a flexible suit of armor that protects you from the cold! 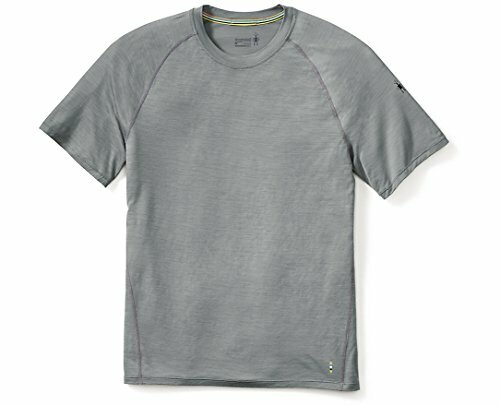 The 4.0 Crew base layer from Under Armour has a brushed negative grid interior that traps hot air, keeping you warm even in the coldest conditions. It’s made from 92% polyester and 8% elastane. The next-to-skin fit hugs your body tightly but remains comfortable. Four-way stretch construction allows you to move in any direction without hindrance. It’s fast-drying even in wet conditions. Under Armour’s microthread material wicks away sweat and body heat while a mesh panel in the back of the shirt provides increased ventilation. This long-sleeved shirt has the features you need when running on the track, but the look you want for running errands around town. Active Fit construction allows for a complete range of movement with no chafing or mobility restrictions. Plus, the unique AdvancedSkin ActiveDry technology prevents moisture from soaking through the material. And do you like running in sunny weather? The shirt has a UPF of 30 to help protect your torso and arms from the sun’s rays. Additionally, the shirt is coated with a reflective treatment. Headlights easily reflect off the material at any angle, allowing for increased visibility when running at night near traffic. The Thermopolis Plus from ASICS has a slim, close fit that provides a solid base of warmth and dryness. It’s made from a blend of 88% polyester and 12% spandex. Plus, ergonomic hem construction prevents stitching from rubbing against your skin. The front of the shirt has a kangaroo pocket to keep your hands warm and hold loose items. Inside the kangaroo pocket is a smaller media pocket which can securely store a smartphone or similar digital device. Looking to keep your hands warm without gloves? The sleeves have thumb holes which help protect your hands against wet and windy weather. Not every base layer needs to have long sleeves. The Merino 150 has short-sleeves so it can be worn alone in summer or as a base layer under warmer gear during the winter. The soft Merino wool is blended with a nylon core to help increase durability. Plus, flatlock seams allow for added comfort when wearing a backpack or additional layers of clothing. Overall, the shirt is breathable and lightweight. The fit of the shirt is slim but not constricting. The material is 87% wool and 13% nylon, water resistant, and comes with natural antimicrobial properties to help reduce odors. This long-sleeved base layer shirt combines comfort, ventilation, and safety. Unique New Balance dry technology pulls moisture away from your skin to keep you dry. Plus, polyester material and mesh side panels allow for consistent and comfortable airflow. Color-contrasting side panels and reflective logos help increase 360-degree visibility. Passing motorists will be able to see you from a far distance easily.